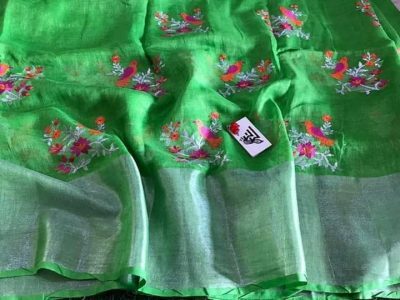 About Linen saree: This saree designed with parrot green color with parrots embroidary design. 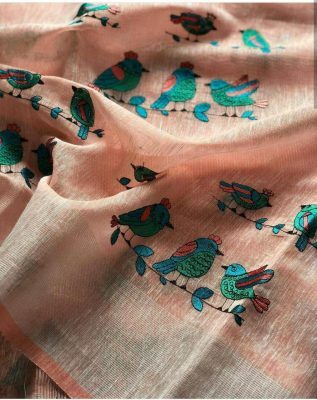 About Linen saree: This saree designed with blue color with parrots embroidary design. 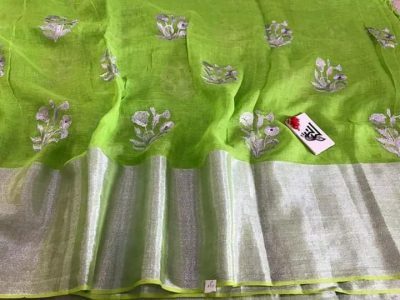 About Linen saree: This saree designed with green color with flowers and parrots embroidary design. 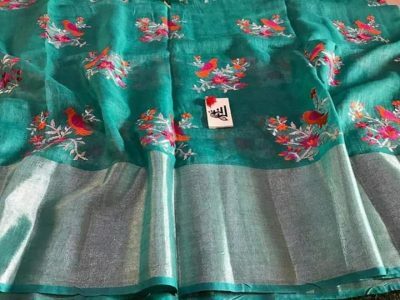 About Linen saree: This saree designed with rama green color with parrots and flowers embroidary design. 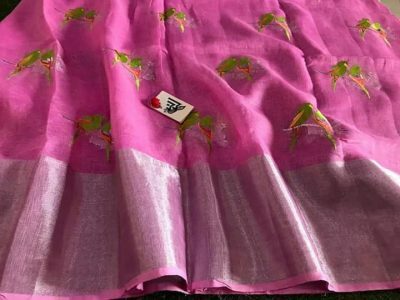 About Linen saree: This saree designed with lite pink color with parrots embroidary design. 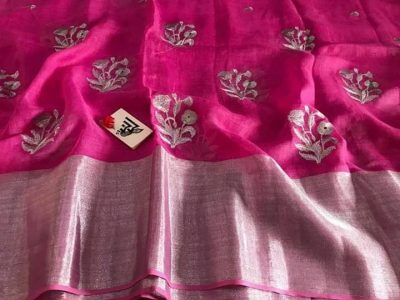 About Linen saree: This saree designed with rani pink color with flower bunch embroidary design. 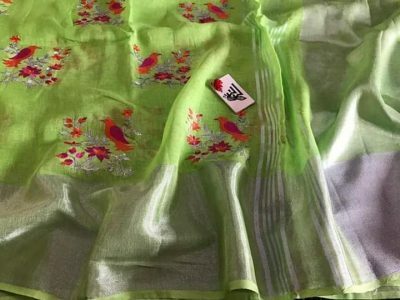 About Linen saree: This saree designed with parrot green color with flower bunch embroidary design. 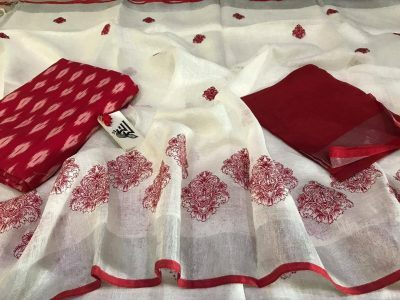 About Linen saree: This saree designed with white color with maroon color embroidary design. 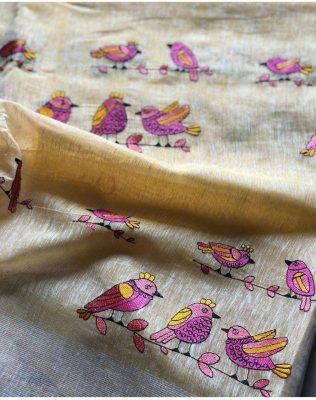 About Linen saree: This saree designed with tissue gold color with sparrows embroidary design. 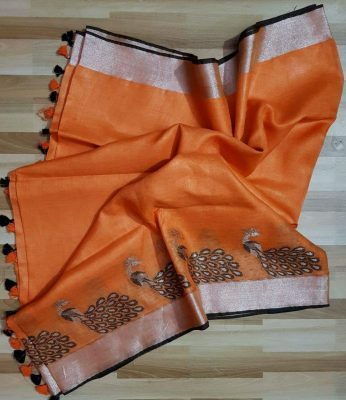 About Linen saree: This saree designed with peach color with sparrow embroidary design. 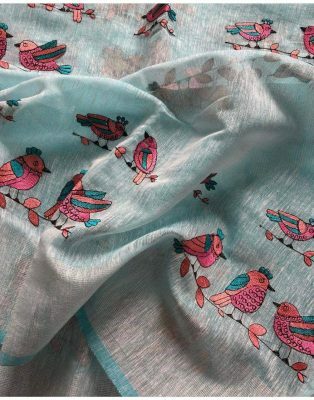 About Linen saree: This saree designed with lite blue color with sparrows embroidary design. 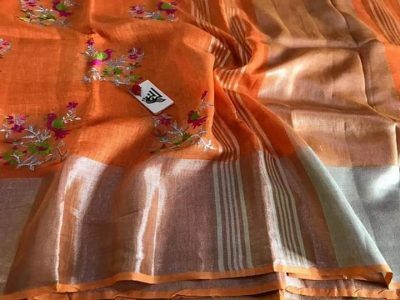 About Linen saree: This saree designed with orange color with peacocks print design. 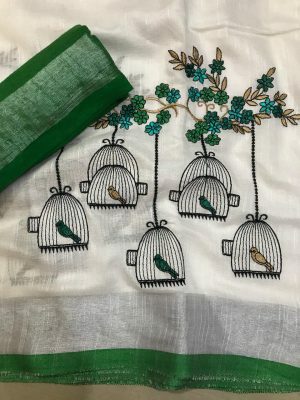 About Linen saree: This saree designed with white and green color with parrots embroidary design. 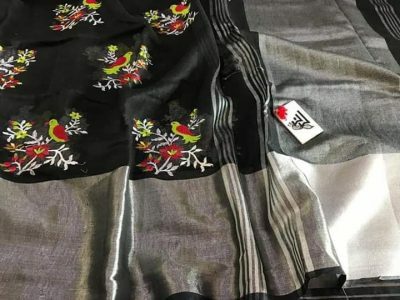 About Linen saree: This saree designed with black color with parrots and flowers embroidary design. 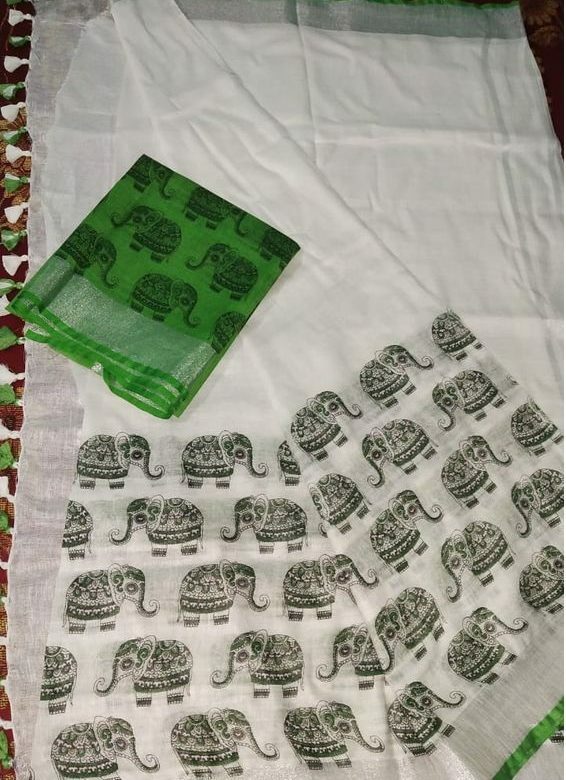 About Linen saree: This saree designed with green color with elephant print design. 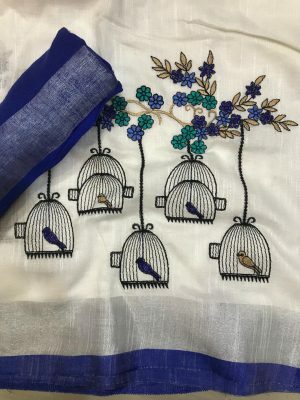 About Linen saree: This saree designed with white and blue color with parrots embroidary design. 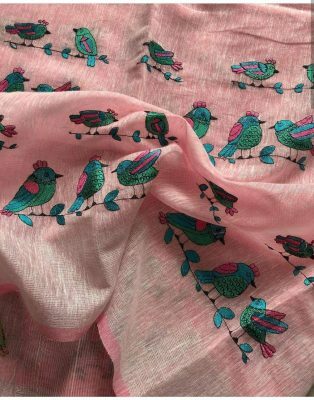 About Linen saree: This saree designed with lite pink color with sparrows embroidary design. 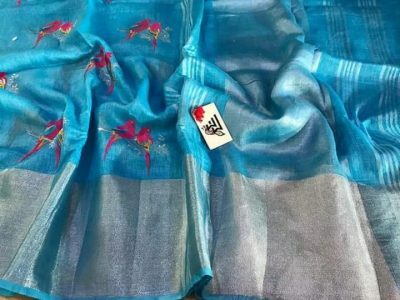 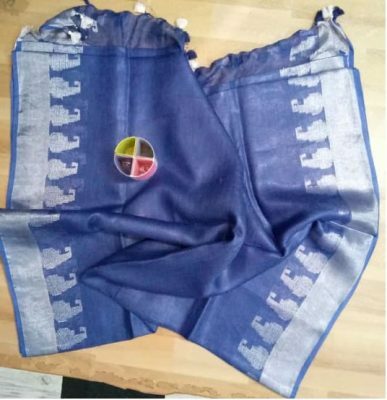 About Linen saree: This saree designed with blue color . 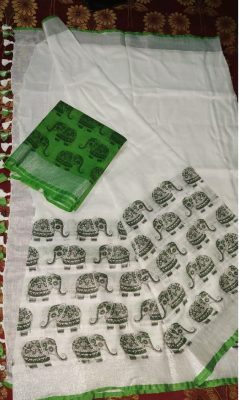 About pure linen sarees: This saree designed with parrot green and grey color.